With their white-rendered facades, steel window frames and railings and wired glass balustrades, these twin houses are a sterling example of Nieuwe Bouwen architecture. The living level of each of these two linked houses is entirely open or subdivisible using sliding glass partitions. A distinguishing feature is the semi-circular stair in steel and glass projecting through the side elevation. 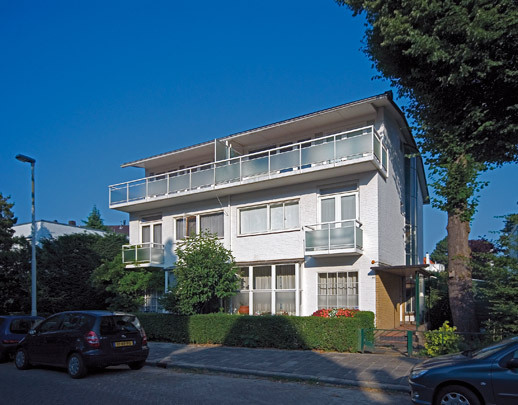 A similar house by the same architect is close by at Oudorpweg 26.